When I referred to more interesting things coming up in Gitarist, one of the things I referred was the interview with Vicente Amigo in last month’s issue. This month’s issue – available in stores tomorrow – has something even more exciting. A childhood dream came true when I had the chance to interview Adrian Smith about Iron Maiden’s brand new ‘The Book Of Souls’ album. It was a very interesting conversation and the result can be read in Gitarist now. Another joy to do was the interview with JB Meijers and the lovely Ilse DeLange about Eurovision success The Common Linnets’ new album. And if that wasn’t enough, another interview of mine – with Black-Bone frontman Steef van den Boogaard, another nice guy – rounds out my contribution. Not completely of course, because a lot of the reviews included are mine as well. But my work is not all there is. We published an exclusive interview with former Pink Floyd man David Gilmour, focusing on his gear and his brand new record ‘Rattle That Lock’, and there’s a host of gear reviews and background stories that is bound to please anyone interested in guitars. And don’t you just love the sober nature of the cover? I know I do! All of that and more in stores tomorrow! Blaze Bayley’s tenure with Iron Maiden – or the other way around, if you will – has been unjustly overlooked and therefore, I’d like to shed some light on Bayley’s epic debut with the British Heavy Metal legend. ‘The X Factor’ has often been named Maiden’s worst record, but that title should go to ‘No Prayer For The Dying’. In fact, I think ‘The X Factor’ is the best record the band did in the nineties. More consistent than ‘Fear Of The Dark’ and ‘Virtual XI’, the album has a darkness to it that no Iron Maiden release before or since has come close to. 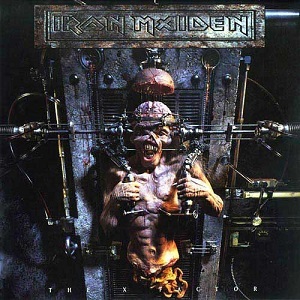 Of course, Bayley comes out unfavorably when compared to his legendary predecessor (and follow-up) Bruce Dickinson, but he is the perfect singer for this record. His lower register fits the darkness of the album much better than Dickinson’s higher wails would have. Also, ‘The X Factor’ seems to lay the groundwork for bassist and bandleader Steve Harris’ quasi-progressive template of latter day Iron Maiden. That formulaic approach has been one of the main – and most justified – criticisms of Maiden’s last few albums, but since the band is still discovering that side here, some of the results are stunning. Admittedly, a lot of the songs are essentially ‘Afraid To Shoot Strangers’ rewrites – slow build-up, lyrics concerning the atrocities of war, subtle keyboard flourishes – and sound somewhat alike in the process. The intro to ‘Look For The Truth’, for instance, might just as well have been an epilogue to ‘Fortunes Of War’. The best of those stately, midtempo tracks – ‘The Aftermath’, the aforementioned ‘Fortunes Of War’ and the doomy, should-have-been-classic ‘Blood On The World’s Hands’ – measure up favorably to similarly styled tracks from Iron Maiden’s more recent history. Despite its somewhat disposable bass intro, the latter is even one of the more to-the-point moments on the record. Ironically, the most old school moment of the record has been written by relative newcomers Bayley and guitarist Janick Gers; ‘Man On The Edge’ is the fastest song here and is driven by strong NWOBHM-flavored riffing and possibly Bayley’s best vocal melodies on the record. ‘Lord Of The Flies’ successfully shows a more Rocking side of the band and opener ‘Sign Of The Cross’ is one of those monumental Maiden epics with delicious tempo changes. In the end, only ‘Judgement Of Heaven’ and closing track ‘The Unbeliever’ miss the mark. The former sounds too close to self-pitying American radio Rock for comfort at times and the latter, despite good segments, feels underdeveloped. Listen with an open mind and you’ll find that ‘The X Factor’ is nowhere near as bad as people want you to believe it is. Sonically, it’s even one of their best works yet; Harris’ bass has never sounded this good, at times sounding almost like an acoustic bass guitar. Those expecting another ‘Powerslave’ or ‘Seventh Son Of A Seventh Son’ will be disappointed, but I can think of at least five studio albums of the band that are worse than this one – four of which feature Dickinson. Give this a chance and surrender yourself to the bleak atmosphere of ‘The X Factor’. Among the most misleading album covers of all time is Gargoyle’s ‘Tuski No Toge’. Okay, the difference in quality between the album and its cover is nowhere near as big as with – let’s say – ‘In The Court Of The Crimson King’, but look at the men – yes, I’m sure – in the picture. Would you expect an album chock-full of vicious Thrash riffs, albeit used in a somewhat unconventional manner? And would you expect the guy on the front right to sound like a rabid dog? If you answer both questions negatively, ‘Tsuki No Toge’ may be a surprise for you. It’s among the best Japanese Thrash records ever. With Kentaro Yokota and Yotaro Yoshida debuting on the album, ‘Tsuki No Toge’ is effectively the first Gargoyle record with a guitar duo. She-ja left the band a year prior to the album and the arrival of two new guitarists is audible immediately. It’s still the same Gargoyle with a barrage of Thrash riffs and a number of melodic leads, but She-ja’s neoclassical style is traded for a more traditional Heavy Metal approach to solos. And though the band was never afraid of a layered guitar approach, it seems to be a more integral part of songwriting this time around. In addition, Gargoyle’s trademark experiments work a lot better than they have in the past on ‘Tsuki No Toge’. ‘Dokaka De Jimushi Ga Naiteita’ and ‘Karappo’ no longer sound like rather forced attempts at Funk; their more riff driven approach brings to mind Death Angel’s classic ‘Act III’ album. Also, the bleak and brooding ‘Kuroi Hana’ and the more hopeful, yearning ‘Yakusoku No Chi De’ are among the very best ballads the band has ever recorded, really only rivaled by ‘Cogito, Ergo Sum’. For those who crave a more Metal approach from the Osakan collective, there’s plenty to be enjoyed here as well. ‘Shouryakukeitachi Yo’ and ‘Senzaiteki Genkyoukaku Musabetsu Kakusei Kin Kansensha’ (I’m not making this up) contain the band’s most violent Thrash riffing thus far without losing track of constructing a good song, ‘Piichiku Paachiku’ and ‘Kanzen Na Doku Wo Youkyuu Suru’ combine similar intensity with a more catchy approach and the remarkably upbeat closing track ‘Catharsis’ sounds like a heavier take on Iron Maiden’s early days. And did you ever wonder what a scorching Thrasher would sound like if it was accompanied by metronome that sounds like a gorilla? ‘Fukyo’ will end your wonder! 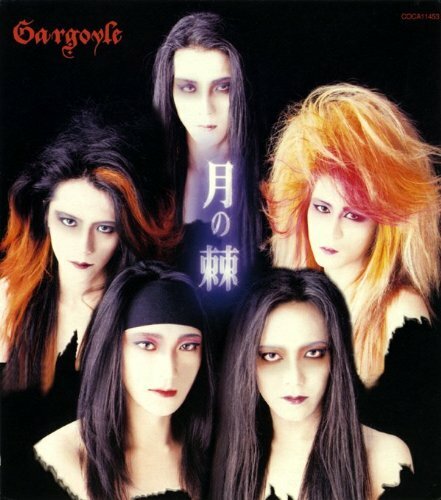 Despite the fact that Gargoyle has a surprisingly consistent discography, ‘Tsuki No Toge’ stands as one of their most accomplished works. It’s the one where the experimental side of the band works best without going at the expense of the band’s classic blend of Heavy and Thrash Metal. If you want to know what Gargoyle is all about, ‘Tsuki No Toge’ actually is quite a good place to start. If that album cover doesn’t scare you away, that is. It’s well worth seeing beyond that. Beyond that lies a classic Metal album that transcends subgenre borders. Two laughs in a 22-minute episode. That’s embarrassing for a show that once was the greatest animated sitcom on the face of the planet. And they weren’t even belly laughs like the ones I used to have back when the show just started. Or even back in the days of “I’m not just sure, I’m HIV positive”. Let’s be honest, ‘South Park’ has been in a downward spiral for a while. The most recent season I own on DVD is the fourteenth – hit and miss, but with a few true gems – and I have no intention of acquiring any of the more recent ones. My days of eagerly awaiting a new ‘South Park’ episode are over. Deep down inside, I would like to say that you couldn’t have lost it. My initial reaction was that you just don’t care anymore. But anyone who has seen the documentary ‘6 Days To Air’ know how much of an effort everyone involved with the show is still making. Even your most recent episode ‘Stunning And Brave’ sees you trying to ridicule current affairs with an attempt to highlight the absurdity of what we have come to consider normal. That’s always been the power of the show, but the satire doesn’t seem to work anymore: the jokes just aren’t funny. Starting with season 15, the show seems to have lost its edge. The season still contained two good (‘Crack Baby Athletic Association’, ‘City Sushi’) and one brilliant episode (‘Last Of The Meheecans’), but it’s been feeling like I’m watching a mediocre cover band do ‘South Park’; the elements that make the show good are in place, but it misses a certain spark of brilliance. The same goes for season 16, where only one episode (‘Cartman Finds Love’) comes even remotely close to classic ‘South Park’. The two seasons that followed were a waste of time. What really worries me is that there’s no end to the slump in sight. I gave you the benefit of the doubt multiple times, but I’m about to give up. When the show threatened to stagnate in the past, you and your crew found a way to inject a new impulse into the show by – for example – increasing Butters’ role or not killing Kenny off at the end of every episode anymore. Naturally, I hope you still have one of those tricks up your sleeve, but I think you would have pulled that one out already if you had. Unfortunately, ‘South Park’ has been relegated to a status where I would leave it on if I come across it on television, but the days that I would plan my schedule around new episodes of the show are in the past. Maybe you should consider pulling the plug altogether. But I’d rather have you proving me wrong. 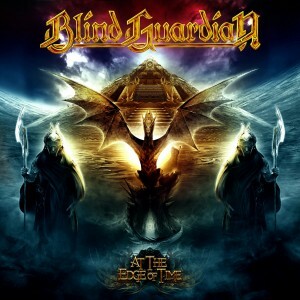 Generally, ‘At The Edge Of Time’ is seen as Blind Guardian’s big return to form after ‘A Twist In The Myth’, which I personally didn’t consider as that much of a departure from the rest of their discography, but whatever. The album does however bring something back to the table in the sense that it is a stylistic anthology of everything the German Power Metal quartet has done in the three decades of their existence. That alone is enough to justify all the praise ‘At The Edge Of Time’ has received. It is most definitely their best latter day record and one of their finest overall. Bookended by the epic bombast of the heavily symphonic ‘Sacred Worlds’ and – even better – ‘Wheel Of Time’, the album may trick the listener into thinking the album is a continuation of the richly layered progressive Power Metal sound heard on ‘A Night At The Opera’ and the hugely successful ‘Nightfall In Middle-Earth’. There are definitely bits of that, but other parts of Blind Guardian’s sound are highlighted as well. The riff driven Speed Metal of ‘A Voice In The Dark’, ‘Tanelorn (Into The Void)’ and to a lesser extent ‘Ride Into Obsession’ even bring back the atmosphere of ‘Tales From The Twilight World’. A very welcome return resulting in three album highlights. Surprising is ‘Road Of No Release’, which builds from a ballad-like opening to a powerful progressive Metal track that doesn’t really sound like anything Blind Guardian has ever done before. Of course the trademark celtic flavored ballads the band seems to have more joy at than I do are here in the shape of ‘Curse My Name’ and ‘War Of The Thrones’. In addition, ‘Valkyries’ and ‘Control The Divine’ are two somewhat lighter Rock songs fairly obviously influenced by Queen. Especially the former unexpectedly blew me away with its strong composition and relatively calm production. Where ‘At The Edge Of Time’ is sort of a triumph over its predecessor is in the production. That’s what makes the album feel so different from ‘A Twist In The Myth’. Kudos also to Hansi Kürsch. While he mostly avoids the highest peaks of the early material, he manages to convince with a powerful performance. It’s funny how he and lead guitarist André Olbrich are all over this record without ever getting in each other’s way. Despite my opinion that the album is somewhat unjustly seen as sort of a comeback, there’s no denying that ‘At The Edge Of Time’ is one of the very best Power Metal records of this century. In fact, it hardly has any European competition. Of course, it’s easier to set up this much of a fantastic Charlie Bauerfeind production if you’re already somewhat of a household name, but without the good songs to back it up, all you have is hollow bombast. It seems like Blind Guardian set out to combine all of their best assets for this record and if that’s the case, there’s no doubt they succeeded. For those of you who were curious about my interview with Flamenco legend Vicente Amigo, but didn’t get around to buying Gitarist, the interview is available online in an edited version through the World Music Platform Mixed. To be exact, the interview can be viewed right here. My apologies for all you international Flamenco aficionados: the interview is in Dutch. Also, the article in Gitarist contains an additional in-depth view on his guitar, built by Mexican luthier Francisco Navarro. If that’s the sort of thing you’re looking for, you’ll really have to learn Dutch and get the magazine instead. However, this article still reflects the pleasant and informative interview I had with Amigo quite well. Enjoy and please feel free to drop a line! Out of last week’s releases, there was one obvious choice for Album of the Week: Iron Maiden’s brand new double album ‘The Book Of Souls’. Not just because it’s a new album by a legendary Heavy Metal band, but also because it’s remarkably good. 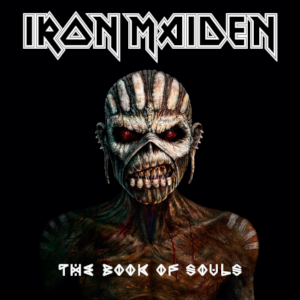 Opinions on the band’s output after reuniting with singer Bruce Dickinson and guitarist Adrian Smith have divided their fan base, but while ‘The Book Of Souls’ follows the same pseudo-progressive formula as its direct predecessors, the fire and vigor of classic Iron Maiden is heard more than occasionally throughout the album. Sure, some of the songs are still too long – ‘The Red And The Black’ has about seven or eight minutes of interesting music, which is a bit meager for a thirteen and a half minute track – but nowhere near as overlong as the embarrassing ‘When The Wild Wind Blows’ from ‘The Final Frontier’ or just about any track from the tired and overblown ‘A Matter Of Life And Death’. The main difference is that the longer tracks waste less time building up through overlong clean passages. They’re more evenly distributed over the album this time around as well. Apparently, one reason for the end of the songwriting stalemate is the decreased involvement of bassist and band leader Steve Harris, as two of the album’s absolute highlights are Dickinson compositions. The eighteen minute closer ‘Empire Of The Clouds’ will probably be the main talking point for many reviewers and for a good reason: it sounds unlike anything Maiden has ever done before. It tells the story of the R101 aircraft departure and ultimate crash through a dramatic suite with a surprisingly prominent role for the piano. I’m choosing the word “suite” here, because the sections of the song don’t all go together fluently, but are rather like chapters in a book. Even better is ‘If Eternity Should Fail’. With its dark atmosphere, driving mid-tempo rhythm and a fantastic vocal performance even by Dickinson standards, it is easily their best opening track since ‘Moonchild’ over 25 years ago. Another highlight – both musically and lyrically – is the heartfelt Hard Rock of ‘Tears Of A Clown’, which also contains what is likely the finest guitar solo on the album. The title track has strong melodies and a nice Doomy vibe before it builds towards a faster triplet-driven part – we are dealing with Iron Maiden here, after all – and ‘The Man Of Sorrows’ is a powerful, elegant epic. In the end, even the less remarkable tracks like ‘The Great Unknown’ and ‘When The River Runs Deep’ capture that classic Iron Maiden spark. Looking at personal performances, two men have outdone themselves on this record. Nicko McBrain is well in his sixties now, but gives the performance of a lifetime here. His drumming suggests that he’s been reborn, as his creativity and power rival even his work on ‘Piece Of Mind’. Bruce Dickinson also amazes. In recent years, I feel he’s been forced to sing slightly too high and as a result sound a little strained. Because his melodies are just slightly lower this time around, he sounds mighty and stately. Adrian Smith deserves another special mention; while Dave Murray and Janick Gers deliver like they always do, Smith’s typical melodic themes are all over the album, most notably in the delightfully energetic ‘Death Or Glory’. For every overlong moment and occasional self-plagiarizing passage – the intro to the fine ‘Shadows Of The Valley’ sounds so much like ‘Wasted Years’ that it’s ridiculous – there’s a strong, engaging song on ‘The Book Of Souls’. That alone makes it the band’s best effort since ‘Brave New World’ with any shade of a doubt. While ‘The Final Frontier’ had a few songs I was quite fond of (‘The Talisman’, ‘Mother Of Mercy’), this one ups the ante in terms of composition and especially performance. The smaller number of repetitive choruses helps as well. If this will turn out to be the last studio album Maiden ever releases, I would definitely say they’re ending on a high note.